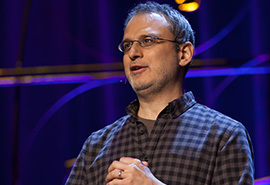 Bill Deresiewicz is an award-winning essayist and critic and the best-selling author of Excellent Sheep: The Miseducation of the American Elite and the Way to a Meaningful Life. Before becoming a full-time writer (and moving to Portland) in 2008, he taught English at Columbia and Yale. Bill is a Contributing Writer for The Nation and Contributing Editor for The American Scholar. His work has also appeared in The New York Times, The Atlantic, Harper’s, and The New Republic. He has won the Hiett Prize in the Humanities and the Balakian Citation for Excellence in Reviewing and is a three-time National Magazine Award nominee. His work has been translated into 15 languages and anthologized in more than 25 college readers. Excellent Sheep is a critique of our system of elite education and a manifesto about what college should be for. Bill’s previous book, A Jane Austen Education: How Six Novels Taught Me About Love, Friendship, and the Things that Really Matter, is a memoir of self-discovery through Austen’s works.